Despite Chris Algieri's underdog status, Hall of Fame referee Joe Cortez thinks that world light welterweight champion could pull off an upset when he faces Manny Pacquiao on November 23 in Macau. Contrary to what the majority believe, Cortez thinks that Algieri will be a very difficult opponent for Pacquiao. "I think it will be a very difficult fight for Pacquiao. 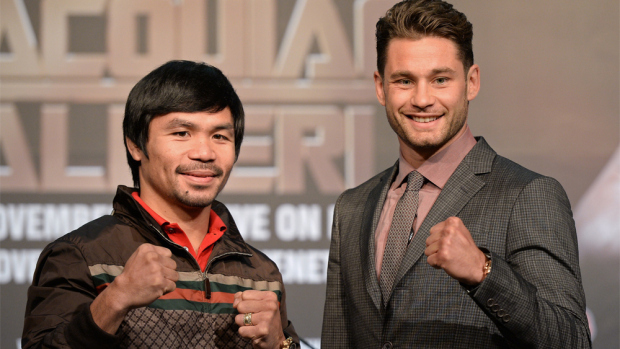 I think Pacquiao may not get through this kid (Algieri)," Cortez told ontheropesboxing.com. "This kid is like 5’10 and he has great boxing skills, he has a long jab. He’s gonna keep Pacquiao at a distance, Pacquiao is gonna try to come in and put him away. Pacquiao is gonna have his hands full." Cortez also added that Algieri's style and renowned fitness will be key to victory. "Chris Algieri is not the hardest puncher in the world but he proved when he fought Provodnikov what kind of a style he has," told Cortez.